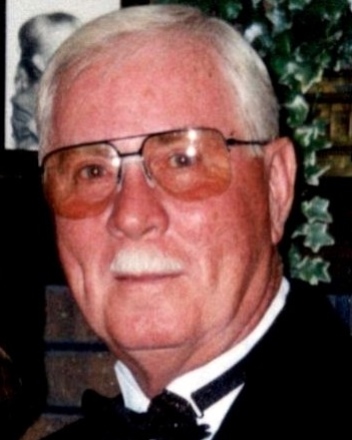 Mr. Terry Moore Latham, age 81 of Todd County, passed away 6:55 PM Sunday, March 24, 2019 at Jennie Stuart Medical Center of complications of a terminal illness. Services for Mr. Terry will be 11:00 AM Thursday, March 28, 2019 at Latham Funeral Home with Rev. Jim Kern and Rev. Jeremy Hayes officiating. Burial will follow in the Kentucky Veteran’s Cemetery West in Hopkinsville, KY. Visitation will be from 5:00 to 8:00 PM Wednesday at Latham Funeral Home. Mr. Terry was born January 15, 1938 in Clifty, KY. He was owner and operator of Corporate Security in Hopkinsville. He was a U.S. Army Veteran, member of Masonic Lodge and Britmart Baptist Church. He loved to Golf, watch UK Basketball and had served as Basketball and Baseball Coach for many years. He was preceded in death by his parents, Terry Lloyd Latham and Katherine Elizabeth Poore, his son, Terry Landon Latham in 1985 and his brother, Janson Latham. Survivors include his wife of 30 Years, Janet Latham of Elkton; his son, Andrew Latham and his wife Hannah of Elkton; his daughters, Angela Leigh Collins and her husband Steven of LaGrange, KY, Cathy Stokes and her husband Jeff of Elkton and Debbie Hancock and her husband Dan of Hopkinsville; his sisters, Velma Rager of Clifty and Stephanie Moss of Murfreesboro, TN; 8 Grandchildren and 7 Great Grandchildren. In lieu of flowers the family asks that donations be given to the American Cancer Society.